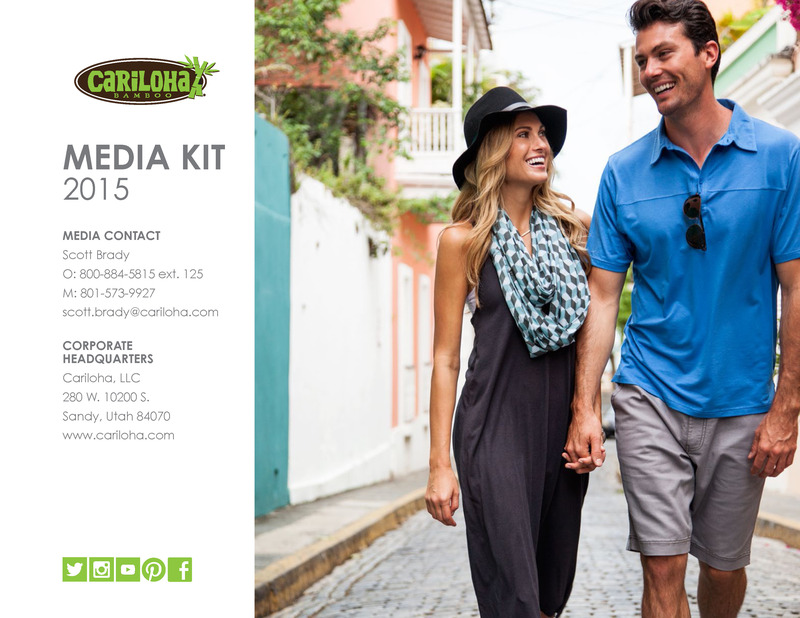 Cariloha is the only retailer in the Caribbean Islands selling exclusively clothing, bedding and bath goods made from bamboo. CASTRIES, ST. LUCIA – With hundreds of private businesses on the island of St. Lucia, Cariloha is the only one that offers an entire store experience that revolves completely around bamboo-based products. Cariloha’s hats, shirts, polos, dresses, shorts, skirts, socks, bed sheets, bath towels, jewelry, and more are all made from unique bamboo blends. The newly constructed, 700-square-foot Cariloha store opened after a year in the making and is considered part of the Castries’s (St. Lucia’s capital city) shopping district. It’s located in the Pointe Seraphine cruise terminal, next to the popular Rum Shop bar-café and only 30 yards away from its sister-brand store, Del Sol, which retails color-changing clothing and accessories, also found in the terminal. Pointe Seraphine receives about 70 percent of the cruise ship visits to St. Lucia and is a duty-free port that’s open to the public. 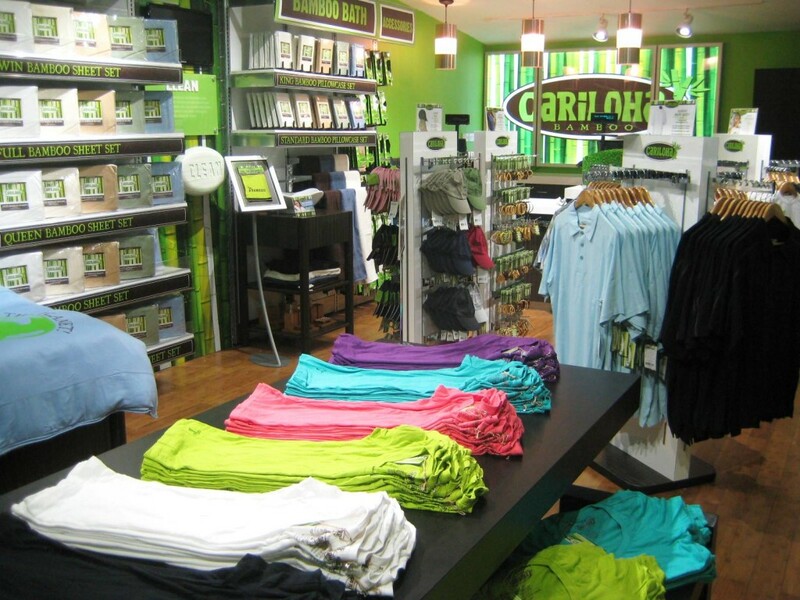 “Local customers have already been enjoying Cariloha’s stylish, ultra-soft bamboo clothing, and several visitors have commented that they know where they’re going to get some Christmas shopping done,” said Landon John, Cariloha Regional Sales Director. “Cariloha is looking forward to infusing money back into St. Lucia’s economy by working with local labor to build out and maintain its physical integrity, and hiring several local employees to staff the store as well,” said General Manager, Ryan Cazaubon, of Cariloha and Del Sol stores at Pointe Seraphine and Del Sol cart at Place Carenage cruise terminal. “Having a strong, modern-looking retail store grabs more consumer attention to St. Lucia and vies for a higher perceived value in today’s cruise and Caribbean marketplace.” In addition to overseeing retail store management for both Cariloha and Del Sol on St. Lucia, Ryan is heavily involved in expansion to Martinique. The Cariloha retail establishment doesn’t claim to be the ‘greenest’ store on the planet; but rather a step in the right direction. Local earth-friendly organization, Our Planet, based in a state-of-the art facility on the island, made an instant connection with Cariloha during its opening weekend when Our Planet Director, Sarah Adams, stopped by to check out the new store. Adams said she was interested in working with the Cariloha store and hopes to further the movement for sustaining a healthier planet. “We were glad to see Sarah and Our Planet at the store, and we think there’s great opportunity for teaching and hopefully creating a partnership format of some kind,” said John. Ryan Cazaubon said the name, Cariloha, derives from the blending of Caribbean style with Hawaiian aloha spirit. This is embodied by the store’s collection of bamboo products and island-inspired wares. Cariloha St. Lucia staffers encourage visitors to touch and feel the bamboo-soft difference of their shirts, bed sheets, towels, and hand bags. Bamboo apparel features several qualities that make it a superior fabric. It’s twice as soft to touch as cotton and keeps you a few degrees cooler. It’s naturally antibacterial, hypoallergenic and helps prevent skin odor and skin irritation, which is welcome relief on a hot day in St. Lucia. It is not only nice to see a store dedicated to an eco friendly product but also one that is supporting the local trade. Bamboo is a wonderful fabric to wear as well as for home products. I wish the store much success. In March while in St Lucia I purchased sheets and pillow cases in your shop. Much to my disappoint after the first wash one of the cases came apart at the seam……I followed the directions exactly. Very disappointed…please advise to how we can remedy this.